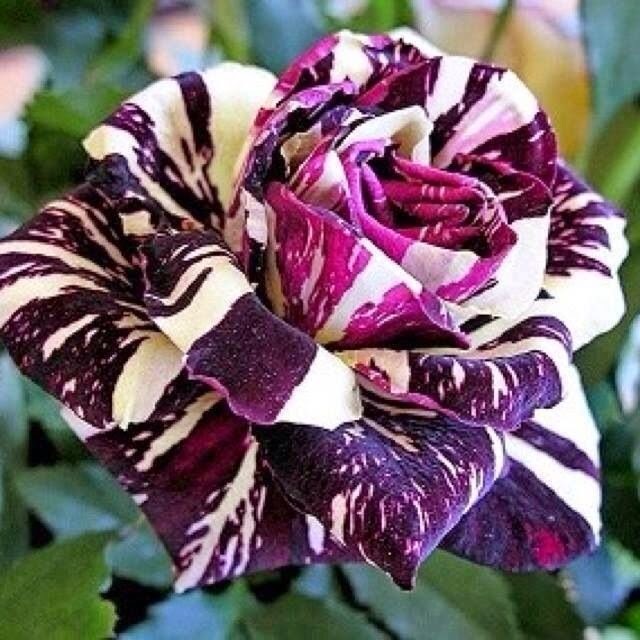 This will not be of much interest to rose purists, but for those of you who have a passion for the unusual then the floribunda rose 'Purple Tiger' could be right up your street. Developed by specialist rose breeder Jack Christenson of Armstrong Nurseries in 1991, it was introduced to the general public in 1993 through Jacksons and Percy Co. A hybrid of Rosa 'Intrigue' and Rosa 'Pinstripe', this gorgeous, compact and almost thornless cultivar is notable for the remarkable colouring of its medium-sized blooms. The fragrant, semi-double flowers contain approximately 32-35 petals and are striped and splashed with beetroot purple and pale cream. The blooms appear from June to September and will do well in both full sun or partial shade. 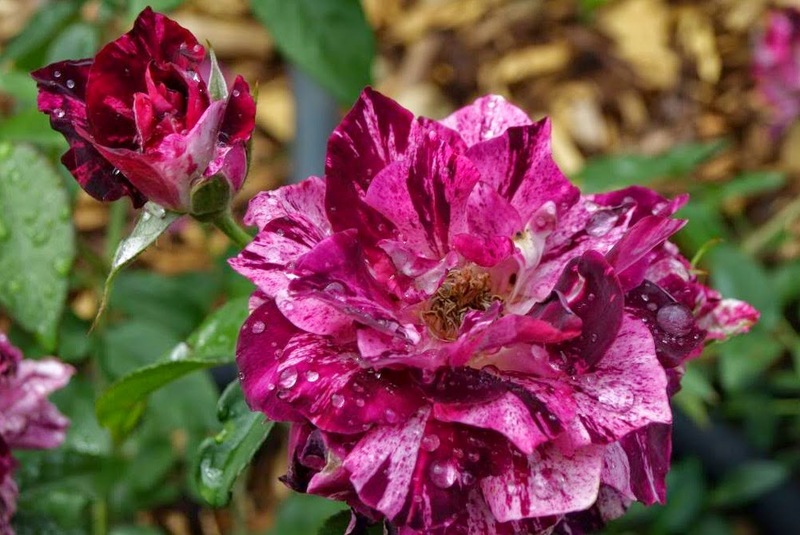 Rose 'Purple Tiger' has an over height and spread of approximately 75 centimetres, and while the foliage can be a little sparse it does sometimes gives rose 'Purple Tiger' a rather gaunt appearance. It has an average disease resistance but can still be prone to both black spot and mildew. It has a moderately vigorous habit but does not have the presence for mass planting but it makes a worthy addition in a mixed border. It is suitable for growing both in the garden or in a container, and will look stunning when planted among white roses. Rose 'Purple Tiger' will do best planted in a humus-rich, moist, fertile and well-drained soil.